Middleton Stoney Cricket Club in Oxfordshire is one of the oldest and friendliest cricket clubs around, founded over 200 years ago. We play almost all our fixtures at home on Sunday's in the idyllic grounds of Middleton Park, near Bicester, once home to the Earl of Jersey. 2018 Photo of the year. Sunday cricket in Oxfordshire at MSCC is "friendly" cricket. We have more than 30 playing members ranging in age from under twenty to over seventy who play at a wide variety of ability levels. We do not play league cricket, nor do we play limited over cricket, with the exception of the occasional Twenty-20 midweek evening thrash. Selection is not based on playing merit but rather on a desire to try to match the playing strength of our opponents and give everyone a fair share of games during the course of the season. Our genuine desire to compete, excel and to win is finely balanced with the heartfelt sense that we’re also playing to have fun and enjoy the game in the spirit with which it’s intended to be played. A 'close win' and a 'great match' is always the object of any fixture. Sunday teas are traditionally home-made affairs, put together by members and their families in rotation. They are considered some of the best teas served anywhere by many of our visiting opponents. Every fixture concludes with a barbecue outside our quaint and characterful clubhouse and its bar. We run a tea rota and all the players take a turn. We are a sociable club, enjoying a number of non-cricketing events during the year organised by the club committee. We encourage players' families to join us as much as possible to support, join in and become a genuine part of the club. Players come from a variety of backgrounds. 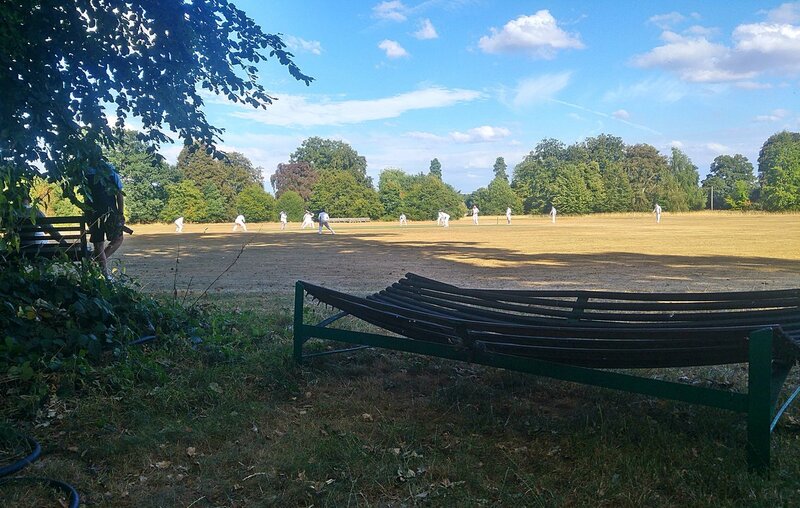 Beyond our shared attitude to cricket, we hope there isn't a 'Middleton Stoney type'. All are welcome at the club. We welcome enquiries from potential new members who would like to try a few games with us to see if we're the right club for them. We also encourage contact from new teams, touring teams - and anyone looking for a good game of cricket. So, whether you are a batsman or bowler, wicket taker or happiest batting in the middle, we welcome every type of cricketer. Click to see our location. The Cricketer’s Bible by Simon Lee. First delivered at the Middleton Stoney Cricket Club carol concert 2018. It is with sadness that we have to report that John Deeley, our immediate past Chairman, died this morning.